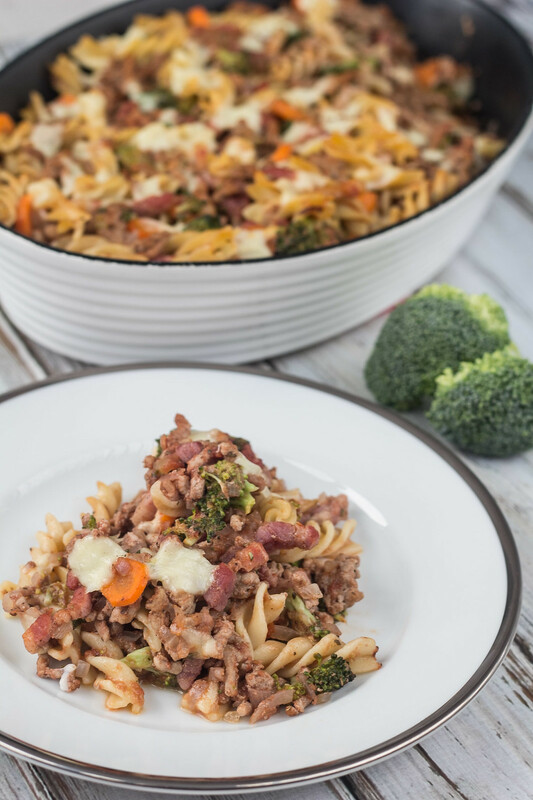 I am constantly on the lookout for tasteful and delicious dinner recipes which are simple and easy to make – this recipe for a pork and bacon pasta dish is one of them. 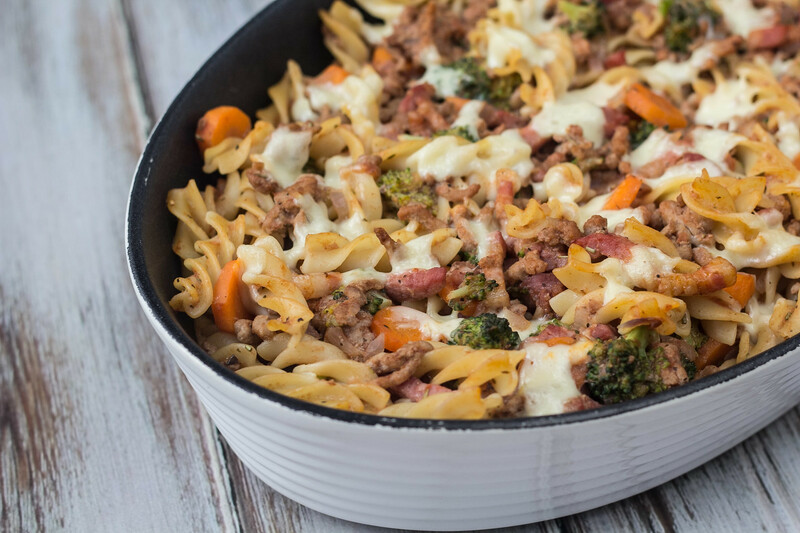 This dish is very simple to make and it only takes about 30-40 minutes of work which is why it is one of my favorite when I am in a rush or just late home from work. 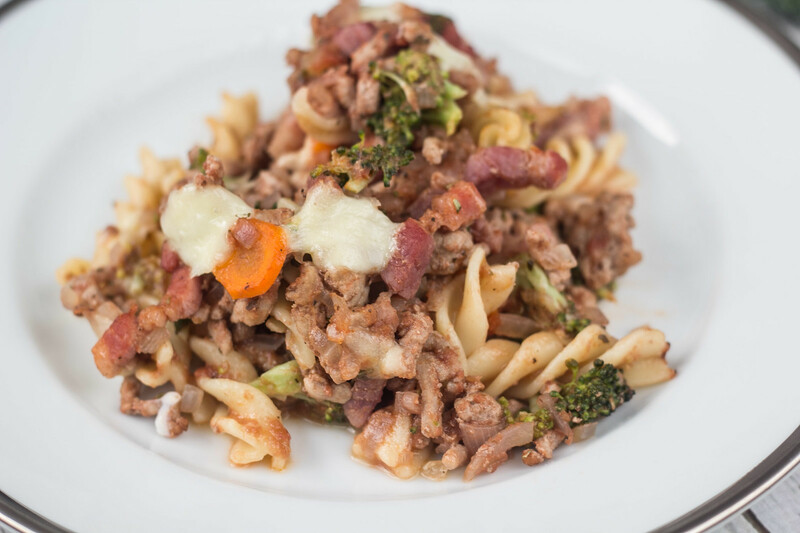 Besides being an easy-to-make and tasteful dish it is also very healthy be course of the broccoli. 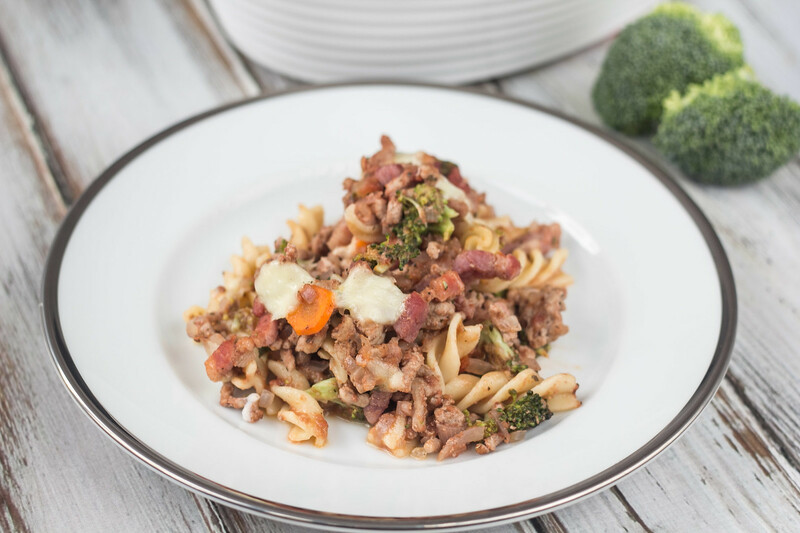 The dish contains carrots and broccoli which are both great sources of dietary fiber and vitamins and together with some good ground pork meat which are rich on proteins, then you have a healthy and fast dinner. As said it is simple and not that time consuming to make this dish. 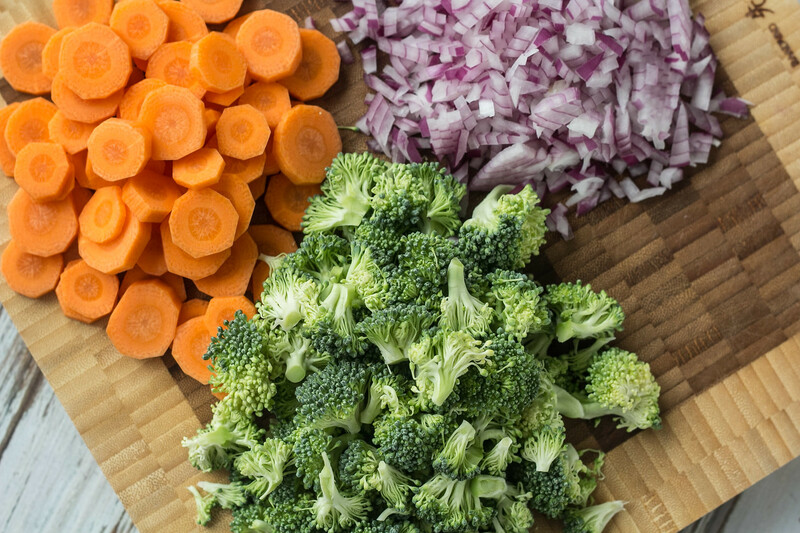 You start by clean and cut the broccoli, carrots and onions into smaller pieces. 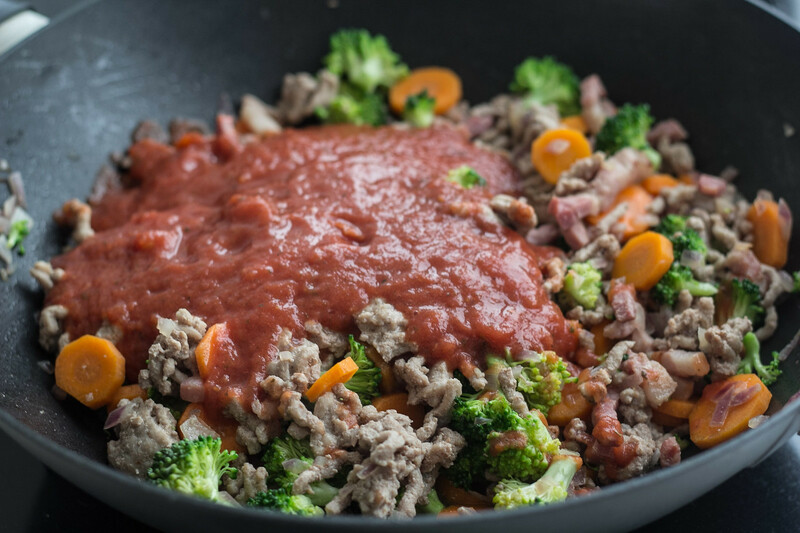 On a frying pan; fry the ground pork meat and add the prepared vegetables and a can of chopped tomatoes. Fry everything for some time and then pour everything into a oven proof dish. On the top, add some cheese and then cook everything in the oven for about 20 minutes. 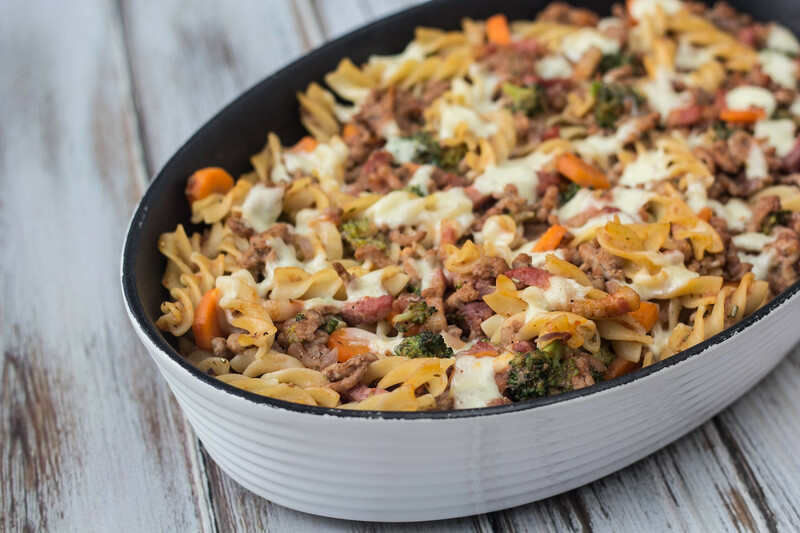 I normally serve this pasta dish directly from the oven and as it is. Sometimes, I also make some fresh bread once the oven is turned on anyways. I can highly recommend my braided bread which is both decorative and very delicious – you can find the recipe in the bread section together with other great bread. 1. Start by preparing the pasta according to the instructions on the package. 2. Peel and chop the onion. Peel and slice the carrots. 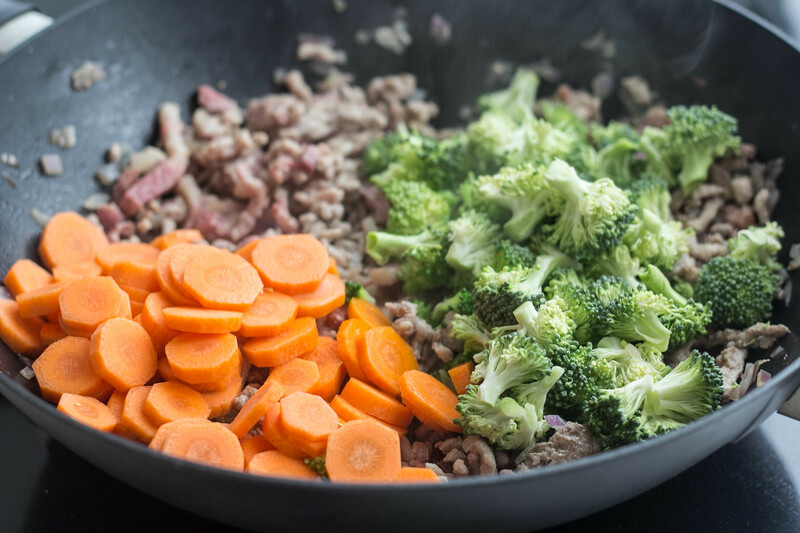 Rinse the broccoli under cold water and divide it into smaller pieces. 3. 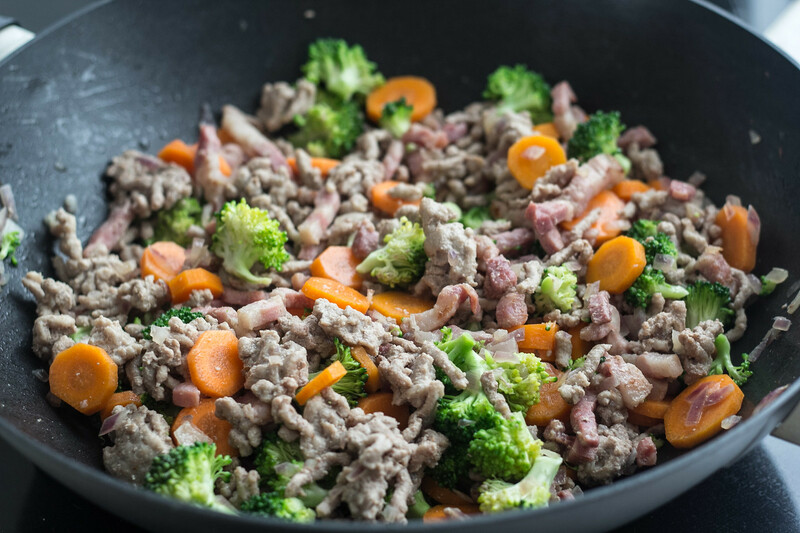 In a large sauce pan; start by frying the cubed bacon for a couple of minutes and then add the ground pork and fry until it is done. 4. Then add the chopped red onion, the sliced carrots, the broccoli and the rosemary. Fry for another 2-4 minutes. 5. Add the can of chopped tomatoes and salt and pepper to taste. 6. 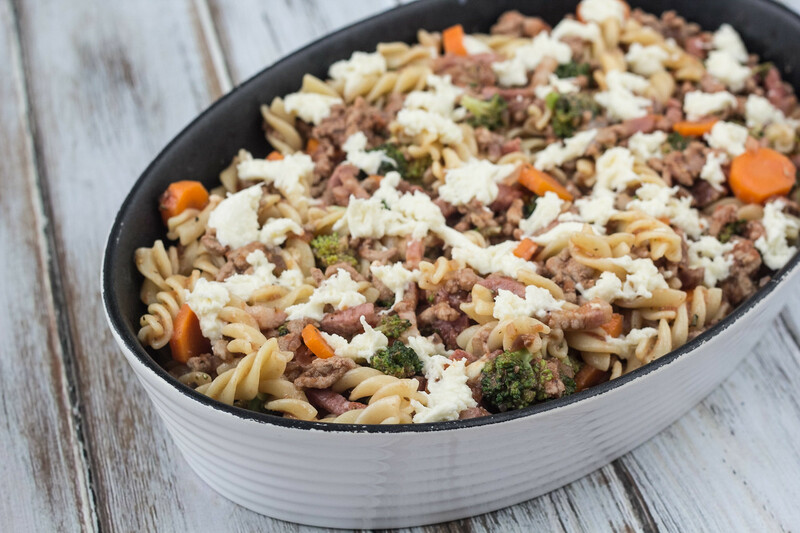 In an oven proof dish: mix together the pork and vegetables, 2/3 of the mozzarella cheese and four beaten eggs. 7. Add the rest of the mozzarella on the top. Then bake everything at 180 C (360 F) for about 20 minutes or until the cheese is nice and golden and the eggs are done. Tip: When done; it is a good idea to leave it on the kitchen table for another 5 minutes before serving it. Thank you for your Dansk recipes, I am enjoying them and sharing them with friends. This website allows to stay connected to the food I grew up with. Mange tsk og have det godt! Thanks a lot for you nice comment. I am happy that you like my small site.